camera (The Associated Press) With US leaving, rival powers seek to move into Syria's east. The main U.S.-backed group in Syria says it has handed over IS fighters and civilians from Kazakhstan to their country. The Kurdish-led Syrian Democratic Forces said in a statement Monday that those handed over to authorities in their country are five fighters, 11 women and 30 children. The SDF said they were repatriated on Saturday adding that it came after discussions with security authorities in Kazakhstan. The SDF, that is a main force fighting extremists in Syria, has apprehended more than 700 non-Syrian IS fighters in addition to their families over the past years. 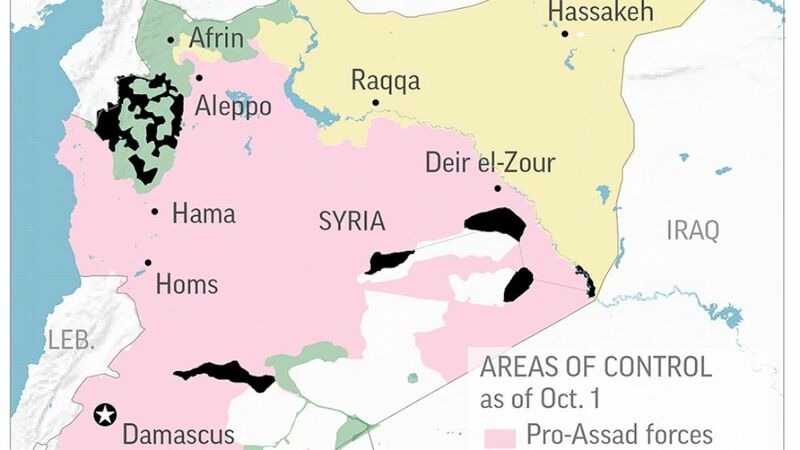 The group is now trying to remove extremists from the last area the control in eastern Syria near the border with Iraq. The main U.S.-backed Syrian faction fighting the Islamic State group says members of the extremist group have attacked one of its positions, killing a civilian and wounding several other fighters in the northern city of Raqqa. The Syrian Democratic Forces said in a statement that during Monday's attack, an IS fighter blew himself up near an SDF checkpoint. The Britain-based Syrian Observatory for Human Rights, a war monitor, said the suicide attacker first opened fire at an SDF force outside a local department before going inside and blowing himself up killing five, including four civilians, and wounding eight. SDF fighters captured Raqqa, once the de facto capital of the extremists, in October 2017. Since then IS sleeper cells have carried out attacks in the city. A Kurdish news agency and a Syrian war monitoring group say a missile attack by the Islamic State group in eastern Syria has killed at least one Kurdish fighter and wounded two British soldiers embedded with them. The Rudaw news agency says the two British soldiers are in a stable condition. British special forces are known to be on the ground in northern Syria although the British government does not provide details about their presence. The Britain-based Syrian Observatory for Human Rights said in a report Sunday that the IS attack occurred the previous day in the village of Shaafa in eastern Deir el-Zour province amid fierce clashes between the Kurdish-led Syrian Democratic Forces, backed by the U.S.-led coalition, and IS militants.